NEW YORK, Jan. 16, 2019 (GLOBE NEWSWIRE) -- Netmining , the leading provider of data-driven targeting solutions, today announced a new partnership with Vistar Media to provide clients with digital out-of-home inventory buying capabilities. 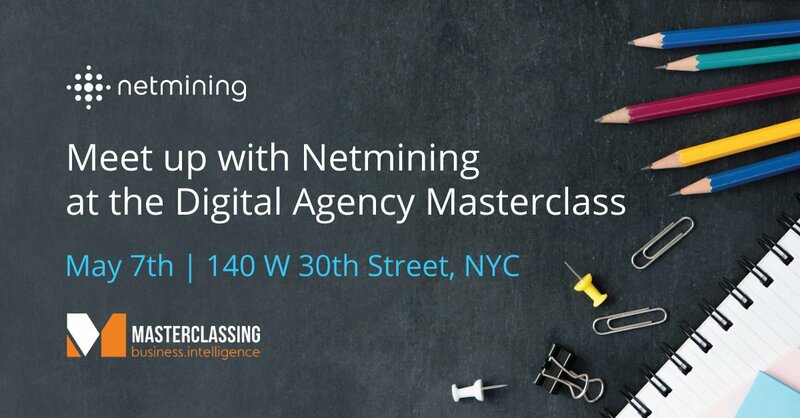 Through this partnership, Netmining will offer access to the largest source of digital out-of-home (DOOH) media inventory for agencies, brands and media planners to engage customers in an omnichannel fashion. Why Nudge.ai? Reach out to the decision makers at Netmining with a personalized email - let them know that you found their recent news mention interesting. Nudge.ai’s relationship intelligence platform can help you find the right executive to reach out to at Netmining, such as Kendi Epley, Senior Sales Director, Southwest, or Dean Vegliante, General Manager. Then get in touch and start a conversation. Executives can be difficult to reach, but every company has connectors who bring together people and ideas. At Netmining, people like Dean Vegliante, and Indy Stein are likely connectors. Employees who are often in the news are usually open to starting conversations or exploring ideas. Nudge.ai's sales AI saw Dean Vegliante, and Joseph Lavan from Netmining recently mentioned in the news. Who in your network can introduce you to Netmining? Nudge.ai finds the best pathway to reach contacts at this company.